While the woman offered to pay for the peacock's ticket, United would not let the animal onto the flight. The woman reportedly claimed that the peacock was an emotional support animal — which would allow the animal to fly for free. While the woman also offered to pay for the peacock's ticket, United would not let the animal onto the flight. "This animal did not meet guidelines for a number of reasons, including its weight and size. 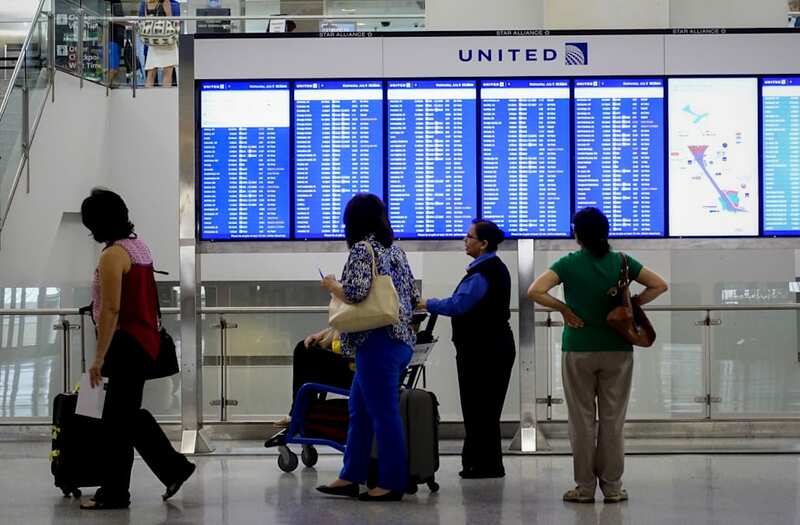 We explained this to the customer on three separate occasions before she arrived at the airport," United said in a statement to Business Insider. The airline also said that it requires passengers to "provide documentation from a medical professional and at least 48 hours advance notice" before bringing an emotional support animal onto a flight. The incident follows Delta Air Lines' announcement that it would impose tighter regulations for passengers who attempt to travel with service or emotional-support animals. The airline said it saw an 84% increase since 2016 in incidents involving animals that were not properly trained, which included urination, defecation, and attacks on passengers and crew members. The new regulations will require passengers to show the airline documentation that proves an animal's health 48 hours before a flight. Passengers who attempt to travel with emotional support animals will need to present a signed letter from a doctor or mental professional, as well as a signed document that states the animal can behave properly during a flight. Delta initially faced backlash for its decision to tighten restrictions, but it's possible other airlines will follow suit as they try to crack down on passengers who abuse the support animal provision and use it to travel with their pets for free.